The extension of a water main to Ft. Myer Heights Park has left a bumpy gash at the bottom of N. Ft. Myer Street. 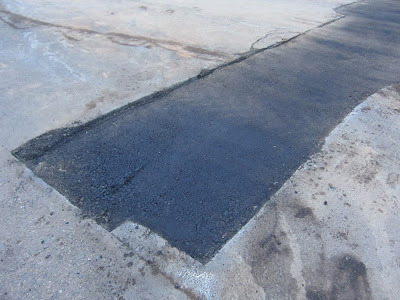 The poor quality of the street repair makes sense if general repaving of the street is imminent. Other markings on the street also suggest that repaving is imminent.